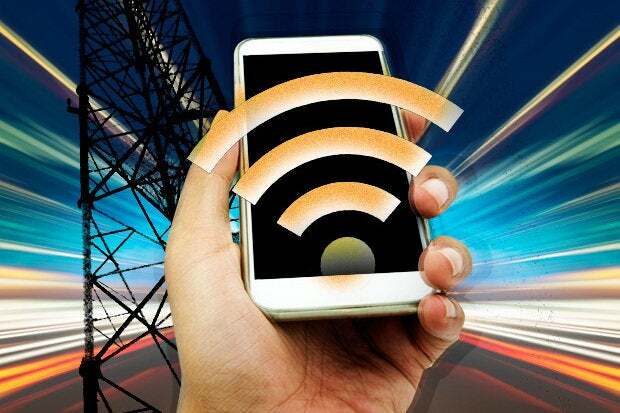 The blazing fast speed and low latency of 5G could suffer from the same obstacle that Gig-internet access does: a scarcity of apps that demonstrate its capabilities. Case in point: The Chattanooga municipal power company EPB slashed the price of Gig-internet to $69.95 per month because many customers opted for slower 100MB service at $59.95 because typical mobile and PC apps do not showcase the benefits of the top speed offering. It is a chicken and egg problem, or more aptly the chicken and the app problem. Without high-speed infrastructure, apps cannot be built that demonstrate the capabilities of 5G. And without apps, infrastructure will not reach cost effectiveness and be deployed at scale. 5G will not scale without distributing the cloud platforms into the network infrastructure running on software-defined networking (SDN) commodity hardware. Earlier this week, AT&T, the Linux foundation, IBM, Intel, Ericsson and others announced an open source partnership to contribute to a critical component of the SDN stack—Enhanced Control, Orchestration, Management and Policy (ECOMP)—that in the future will run on the mass-produced, commodity telecom hardware. This move is best understood in the context of the open source data center hardware consortium, the Open Compute Project (OCP), started by Facebook that includes almost every large data center equipment maker and data center owner that operates or wants to operate at scale, including Facebook competitor Google. Facebook and Google chose to break away from contracting with big hardware makers such as Dell, HP and IBM for the systems used to build their data centers. They wanted more flexibility and lower costs. These companies move very quickly, evolving their hardware platforms that run on largely open-source software. By focusing their influence at the component level, they decoupled their dependency on the system makers’ product cycles to optimize the flexibility of their data center platforms to meet changing workloads. For example, Intel builds motherboards that use Field Programmable Gate Arrays (FPGA) so that low-level code formerly hardwired can be updated as software projects that add features, improve processing speed and reduce latency evolve, eliminating the need for forklift upgrades. Through the OCP, Facebook brought together a consortium of buyers that have a similar data center platform engineering vision to commoditize what would have been its proprietary design into products with SKUs, vendor support and lower cost. Last year, large telecommunications service providers AT&T, Deutsche Telekom and SKTelecom joined the OCP’s Telco project to commoditize SDN hardware. When the OCP launched the Telco Project, I spoke with Frank Fitzek, Deutsche Telecom chair and professor, who runs the 5G lab at the Technische Universität in Dresden, Germany. He explained how the high speeds and low, sub 10ms latency of 5G networks will be used for many new applications that diverge from the concept of smartphone 4G applications. Fitzek believes 5G will have the biggest impact on the Internet of Things (IoT) because the low latency and high speed will extend the islands of IoT and automation to very large scale. The example Fitzek used to explain 5G capabilities was a human remotely controlling a robot that is playing catch with another human as the remote video latency experienced by the human controlling the robot increases. At very low latency, it is easy for the person to observe the ball being thrown to the robot, adjust the robot's hands to match the ball's trajectory, and catch the ball. With increased video latency, the person controlling the robot will have to estimate the ball’s trajectory earlier and adjust the robot's hands faster. As latency increases, it’s harder to coordinate the robot to catch the ball, forcing the human to make the decision to adjust the robot based on estimates of the ball’s trajectory with less and less information until finally the ball can no longer be caught. The loosely coupled, best-effort characteristics of 4G internet do not allow for building large-scale control systems to manage autonomous cars, robots and other autonomous systems. Autonomous cars as they are conceived toay, for instance, will have a cloud of sensors and radios to navigate in traffic, but they cannot detect other vehicles around corners. Plus, all the cars on all the roads and highways cannot be seen as a single system. With 5G and an SDN, information about undetectable vehicles around corners could be sent almost instantaneously to turning vehicles. And autonomous car traffic could be regulated during rush hour to minimize congestion and air pollution. Large-scale IoT and autonomous systems like the large-scale data centers of today will have diverse application workloads made up of apps that will be dynamically and quickly deployed and executed. In the ECOMP architecture, virtual machines (VM) can be created and applications launched on them in near real time. The workloads and app dependencies will be dynamically orchestrated over SDN commodity hardware resources to expand and contract computing resource usage based on demand, similar to how containerization and orchestration work in data centers. Virtualized network functions such as routers and switches can be instantiated in software based on demand, and security policies about the interconnection of IP addresses and the apps and VMs associated with them will be dynamically configured rather than coded in hard to update router tables. AT&T’s 5G testbeds in Austin and Indianapolis will not persuade the company’s management to invest in deploying new 5G radio access networks and SDN hardware throughout the country. Novel new apps for autonomous control, ultra-low latency video that creates telepresence and virtually reality experiences that feel real, and IoT that can be monetized will bring investment in the deployment of 5G. It will not happen overnight.